It seems like forever since I’ve posted. You would not believe what I have been doing since arriving in Atlanta a week ago last Thursday. I’ll share some that later, but first I want to tell you a story my friend Patrice told me when I spent the night with her not long after I got here. Patrice bought a cool older home in a great old Atlanta neighborhood not long before I moved to the UK and she spent some time showing me around and telling me the significance of all the little ” pretties” as she likes to call some of her mother’s things that she inherited, as well as some of her own special possessions. When we got to the room in the picture above, she pointed to the stalk of cotton you can see on the left and said that every day when she goes to work she looks at that cotton and thinks that as difficult as her day might be, it won’t be as hard as that of her grandparents who picked cotton as sharecroppers on someone else’s farm to feed their families. Patrice and I are alike in many ways and I completely get the appreciation she has for the struggles of the generations before her and her everyday gratitude and acknowledgement of how their efforts helped to provide her with a different set of opportunities for her own life. Due to the hard work of those cotton picking grandparents, her parents both had a chance to graduate from college and she herself went on to get advanced degrees from several universities. I can look back at my family history which is filled with similar stories of folks doing hard work or doing without and while I’ve never picked cotton, my brief stints in a chicken factory, chocolate factory, and textile mill while working towards a university degree made me appreciate the difference in doing a job every day that involves hard labor versus one that might be less physically demanding. We all do what we can to make things better for our children and for the generations to come, but sometimes when we’re grumbling about how hard we have it it’s nice to remember the folks that came before us and what they did to help ensure that our lives were a bit easier as a result of their actions. I was thinking this morning about the stories my grandmother told me about cutting fields of sugar cane and how the sharp stalks cut her hands and the stooping and bending made her back feel like it was breaking. I need to confirm the details of this in a few days with my Aunt Betty, but I feel sure she told me this story more than once when I was a teenager. I wish I had paid more attention back then. Feel free to share a family memory if you’d like of someone in your family who made it easier for you to have a better life. This entry was posted in Family, Memories and tagged Elizabeth Harper, Family Stories, Gifts Of The Journey, I Never Picked Cotton, Johnny Cash, Patrice. Bookmark the permalink. I love Johnny Cash. 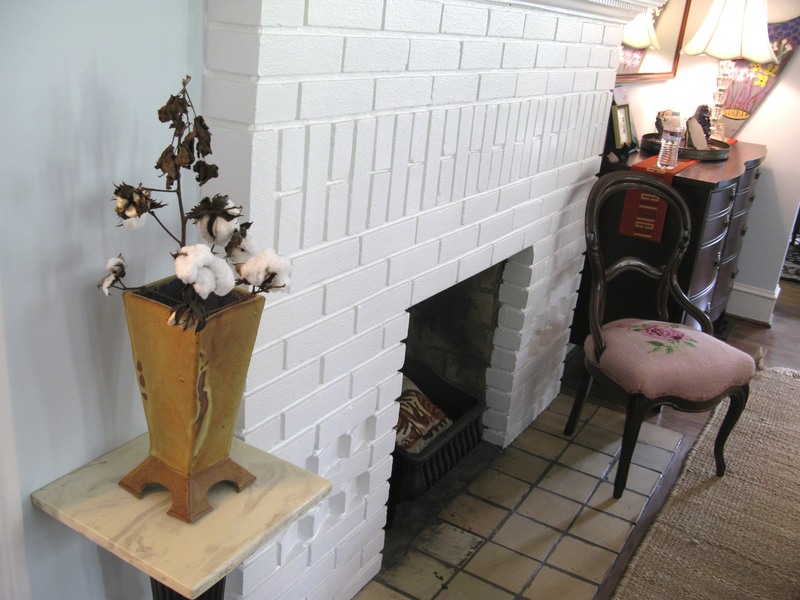 I’d never seen cotton fields until we took a trip to New Orleans and camped in Miss. I’m grateful for my farm heritage in KS. My grandparents worked hard farming and even though most of my siblings and cousins don’t farm anymore, many live in the country anyway and most garden. While you’re writing about parental work to give children oportunities on your blog, so was I on mine but in a different way. Spooky! We’ve missed you in blogland. Looking forward to hearing more about your adventures at some point. My parents married right out of high school and had four kids in five years. They worked very hard to make do with the money they had, while always looking to improve things. My great-aunt, who’s now 87, told me that as a girl she worked on a farm where she pulled and topped carrots for two cents a BUSHEL. Yes, a bushel. She got similarly low prices for other produce. She and her siblings would go into the hills and pick wild blackberries and sell them for 25 cents a gallon. That was some hard freakin’ times. My grandfather had a cotton field that he worked for many, many years. I remember when it was time to pick the cotton, all the adults would hit the field with their sacks on their shoulders. My grandfather would try to coax all us kids into helping, also. He would offer to pay us a penny a pound for the cotton we picked. Do you realize how much cotton it takes to make a pound! I never earned very many pennies, but I gained a lot of memories…and sore fingers! I come home, read your blog and I am bowled over by your story. I will write that post sometime this week. Thank you for your story! Great post. I remember at age 6 standing in a cotton field near Augusta with a school group and it was hot and the insects were droning, and I tried to pick ONE lousy cotton boll and cut my finger. I thought wow, what hard, awful backbreaking work. I really had a deja vu feeling, because my family on both sides were farmers for many generations and certainly picked tons of cotton. I remembered that moment years later and tried to write about it but the resulting poem was awful. My parents both had to work to get through college, then my dad worked extra jobs teaching when we were small, to have money for extras. Dad was a banker but he had done farm labor as a teenager, and helped build the Savannah River Nuclear Plant, and he knew hard work. His hands were always rough and calloused, never soft like a banker’s hands would be normally. So good to have a history and heritage to which you can look back and see how others’ hard work and toil brought you to where you are today. Beautiful post!!! Elizabeth, Thank you for the lovely story of my grandparents. Their struggle became my strength and inspiration. I have cherished stories of their hard times in rural Mississippi and Tennessee during the Civil War and the Great Depression. Dad had me read the “Grapes of Wrath” as a young girl. He said the experiences described in the book were quite accurate to the times and to his experience. His recall of those hard times so touched my heart that I cry each time I tell one of his stories. It was quite a victory for my dad when he was able to “pay cash” to buy the land located next to the farm his family share-cropped when he was a child. To think, that in one generation, he was able to buy the land he and his family nearly starved-to-death on. Walking that property with him, with his head held high, and seeing a smile on his face, was a wonderful experience. Oops. here come the tears, happy tears. That must have been a very proud moment indeed for your dad, and for his family, who shared in that achievement. Thanks for sharing this part of the story too. I don’t have any such personal stories, but I do feel the same when I look out of my office window onto the surrounding agricultural fields and see the immigrant workers — legal, illegal, it doesn’t matter to me — bent over day after day in all kinds of weather, growing the food so that I can eat. A beautifully written piece, Elizabeth. i wish i had paid more attentions to the stories my grandparents told. wonderful post and some interesting stories retold. its a good reminder that we have a lot to be grateful for. Great story Elizabeth!Thanks. It made me think about my great grandparents forging to Montana in the 1800s for their free land to offer a better life to future generations. I wish I could remember more of the stories my grandparents told about these brave family members but I was so young and didn’t know the impact of such brave deeds to all the generations to come. I wish these stories were recorded for our family history. Keep writing Elizabeth, it is a gift for your family and all of us who read your words! The commentary, by Laurence Olivier is the crowning glory of a masterpiece in TV documentary. Highly recommended as a way of paying homage to our more recent past. I hardly know anything about my family at all.. on either side.. I am starting to get a complex …. I think my family must be one of those that is miles and miles apart .. not just geographically but on all levels. I am trying to find out about my dads family , but the only cousin I am in touch with is being a bit of controller, won’t give me the address or surname of her sister .. who lives somewhere in italy.